This product is no longer available and has been replaced by the Avigilon H4 Multisensor Camera. 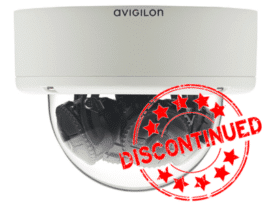 The Avigilon HD Multisensor camera enables you to have a flexible coverage of areas that would you would normally need many cameras for, the 9 Megapixel HD Multisensor delivers excellent Image detail in an Ultra HD resolution, where-as the 12 Megapixel HD Multisensor delivers a 4K Video image. The 9 Megapixel Version of the Multisensor camera comes with three adjustable sensors, although the 12 Megapixel 4K resolution camera comes with four adjustable sensors. With these cameras you can make sure that you’re getting the view that your specific needs require. The HD Multisensors also come with some Avigilon Patented Technologies such as the HD Multisensors come with WDR (Wide Dynamic Range) Built-in, this means that the camera can still get a good detail picture / good video in high and low light conditions. Meaning you can put this camera almost anywhere during the day time and still have a high quality HD picture. The H3 Platform of Avigilon Multisensor Cameras also come with HDSM (High Definition Stream Management) meaning you still get a higher quality picture, but you also use much less bandwidth doing so as It only shows you the part of the picture / video you need.